It doesn’t matter how long you have been cooking or making your own soups, you are sure to learn something new in Hearty Winter Soups on 30 April. Photo: Maryann Mussared. I’m a great believer that if a day passes when you don’t learn something new, then it is a day wasted. Adding to and freshening up my cooking repertoire certainly falls into the category of essential learning. Last year, I made time to attend a few of the excellent Masterclasses offered by the Pialligo Estate Academy. The Garden Pavillion has the perfect kitchen space for small classes and during the course of the year, I met some really interesting people, including an international visitor who was passing through Canberra on business and had a spare day. 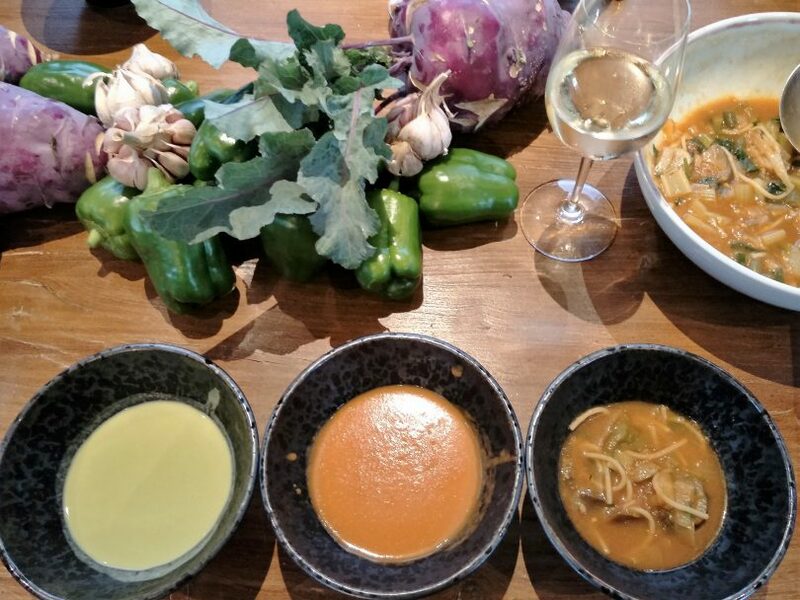 Under guidance from some charming and experienced chefs, I ‘mastered’ pickling, made some wonderful tasty soups and sauces and expanded my knowledge of Italian cuisine. It is all hands on for everyone! More Morrocan Kitchen masterclasses on with chef Peter Young. Photo: Maryann Mussared. More recently, I learned my way around the Moroccan Kitchen and the secrets of home-made harissa. Once you have made your own harissa, you will never buy anything in a jar again! This particular Masterclass is currently scheduled each month. What I particularly loved was the produce used in the classes mostly came from the marketing gardens of the Pialligo Estate and nothing was wasted! The Estate is located close to the Canberra International Airport and is a rural working farm with beautiful views across the river flats to Parliament House and the Brindabellas. The philosophy is quality paddock-to-plate with the diverse offering of an orchard, vineyard, olive grove, smokehouse, academy, market and herb gardens, as well as the popular restaurant and function facility. 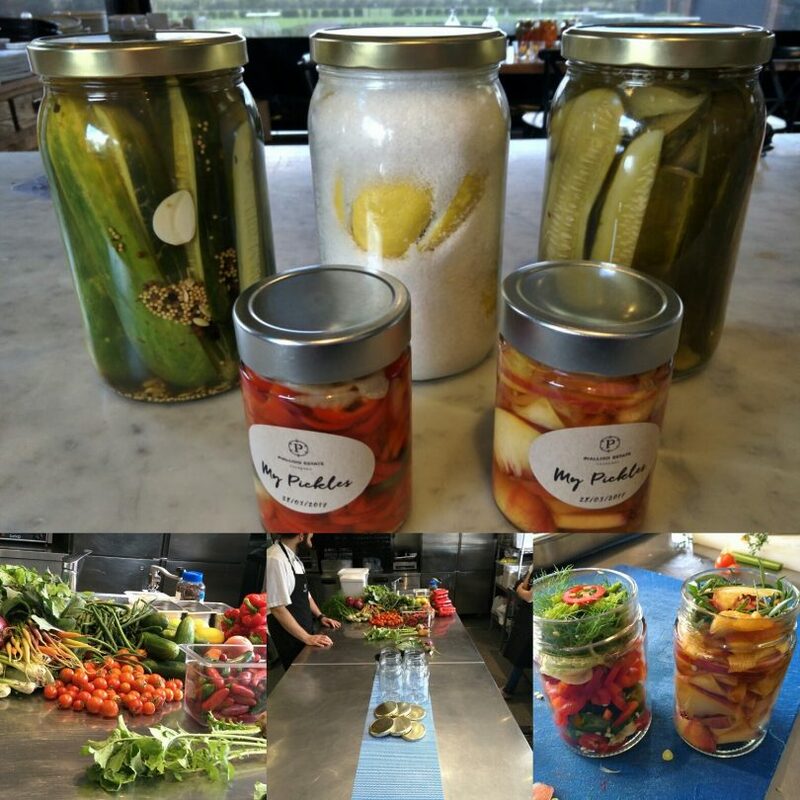 What did I learn about pickling? How easy it is and that just about everything that grows in my suburban veggie patch pickles beautifully. Photo: Maryann Mussared. Classes on offer in 2018 include exploring French, Italian and Moroccan kitchens, pastry and pies, Seafood Secrets, children’s ‘Mini Master” classes, and lots more! 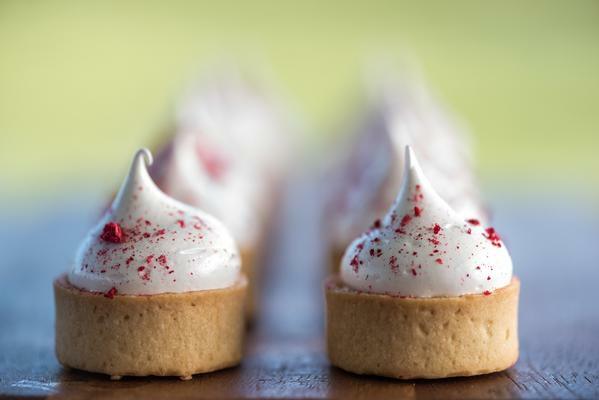 March classes are pretty full, but there are spaces in Fancy Finger Foods on 19 March where you will learn the secrets of making irresistible mouth-watering and delicates bites. Master the art of professionally-styled canapes and fancy finger food to impress guests at your next cocktail party. Photo: Pialligo Estate. There may also be space if you feel like knocking back a few cocktails, with the next “Signature Cocktails” on 16 March. 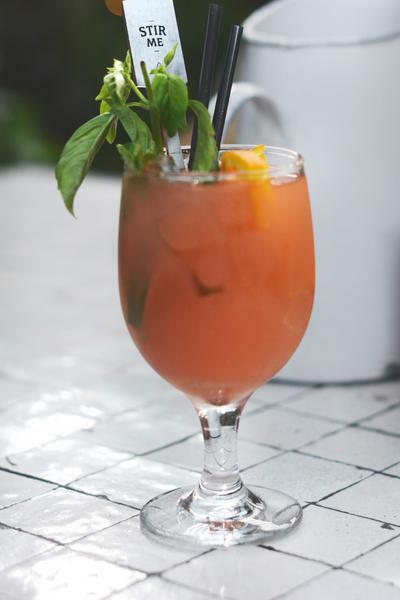 This masterclass is back by popular demand: Aaron is hosting an introductory cocktail hour where you can learn to prepare and taste a range of classics and create your very own signature cocktail. Learn all about “Signature Cocktails” from one of Pialligo Estate’s masters. Photo: Pialligo Estate. Coming up in April are a series of classes for ‘Mini Master’ children’s classes with Baking and Decorating on 23 April. 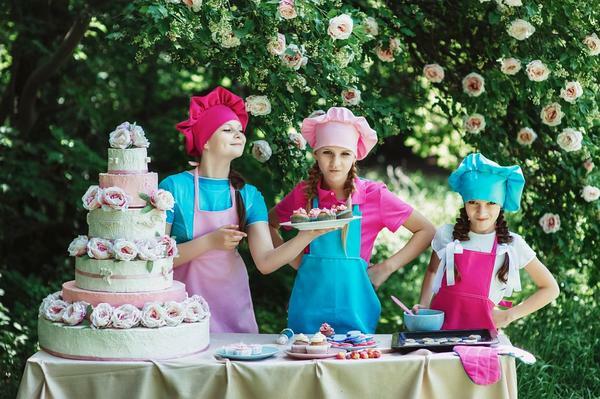 Children will spend an afternoon in the kitchen baking and decorating their own cupcakes and cookies to take home and enjoy a delicious afternoon tea at the Chef’s table with other Mini Masters. Also offered in April is Chef’s Lasagne on the 16th, and Sushi Making on 17th, Pasta Making on 23rd, and Quiches and Pies on 24th. Classes for your own Mini Masters in April. Photo: Pialligo Estate. 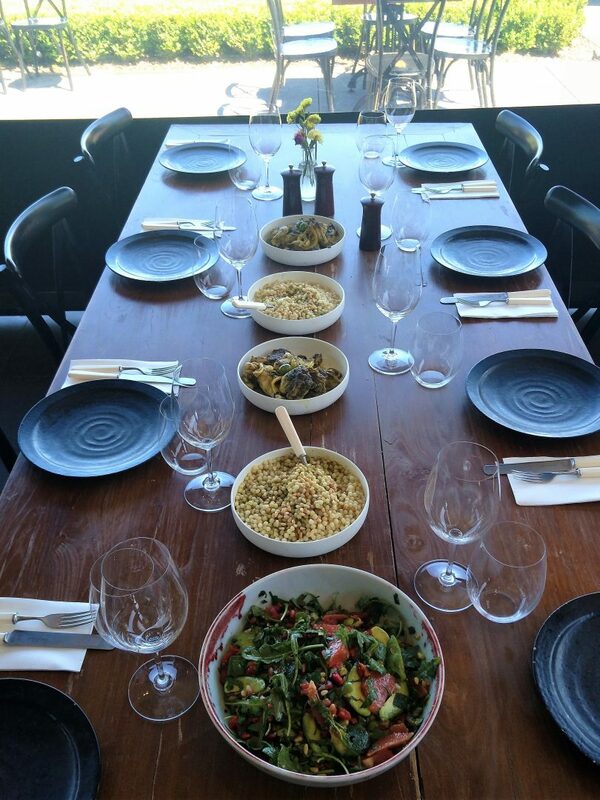 One of the really fun things about the cooking classes is after all the fun of chopping, dicing, cooking and tasting, you actually get to eat what you have prepared, accompanied by a specially selected Pialligo Estate or other local wine. Lunch at the Chef’s table overlooking the lovely Estate gardens. Photo: Maryann Mussared. 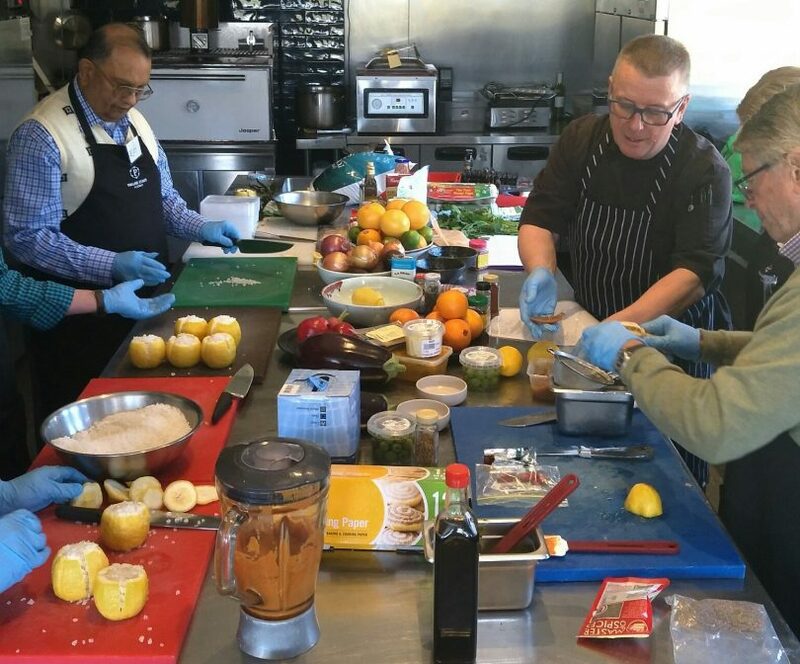 So if you are looking for some new recipes and skills to spice up your kitchen, and your kitchen garden has produced more than you can possibly cope with after recent rain, or you’re looking for delicious and easy ways to feed friends and family simply this winter, Pialligo Estate cooking Masterclasses are going to offer you everything you need. 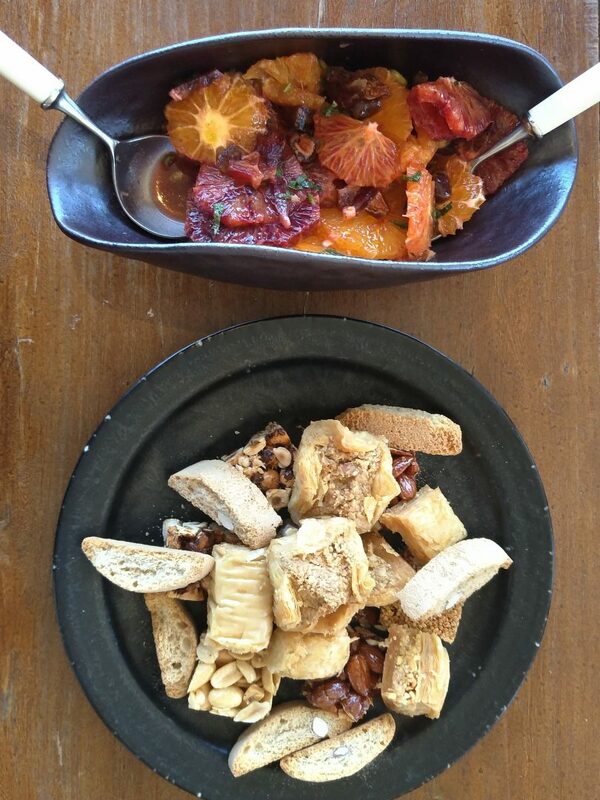 Easy to prepare and versatile Spiced Moroccan Oranges. Photo: Maryann Mussared. So don’t delay! Classes will book quickly and it is a wonderful evening to spend with a friend or partner. The masters of the Academy will generously share their knowledge, skills, experience and techniques with you! If you are looking for a gift for a special or difficult to buy for friend, Pialligo Estate Academy has gift cards available online. Pialligo Estate is located at 18 Kallaroo Road, Pialligo, ACT. Phone 6247 6060 or you can select your Masterclass and book online here.